At the end of a long afternoon of listening to German bands at the Jazzahead festival in Bremen last weekend, I heard something that really brought the senses alive: the alto saxophone of Anna-Lena Schnabel, a 22-year-old musician from Hamburg appearing in the Aquarian Jazz Ensemble, a quintet led by the drummer Björn Lücker. The group was impressive all round, notably the leader’s thoughtful, highly melodic compositions and the restrained lyricism of the trumpeter and flügelhornist Claas Ueberschaer. But it was when Schnabel stepped forward for her first solo that the music really took wing. There’s a poise to her delivery, a fibrous, pliable quality to her tone and a sustained intensity that remind me a little of the young Mike Osborne. In the context of a half-hour set featuring several tunes, it was interesting to hear how much substance she was able to get into each of her short solos — an endangered art. The varied contouring of her phrases makes you feel as though you’re being taken for a very interesting ride. And on the occasional improvised duets between the two horns, she more than held her own with the experienced Ueberschaer. The next day I was telling someone about what I’d heard, and he told me a little story about Schnabel. 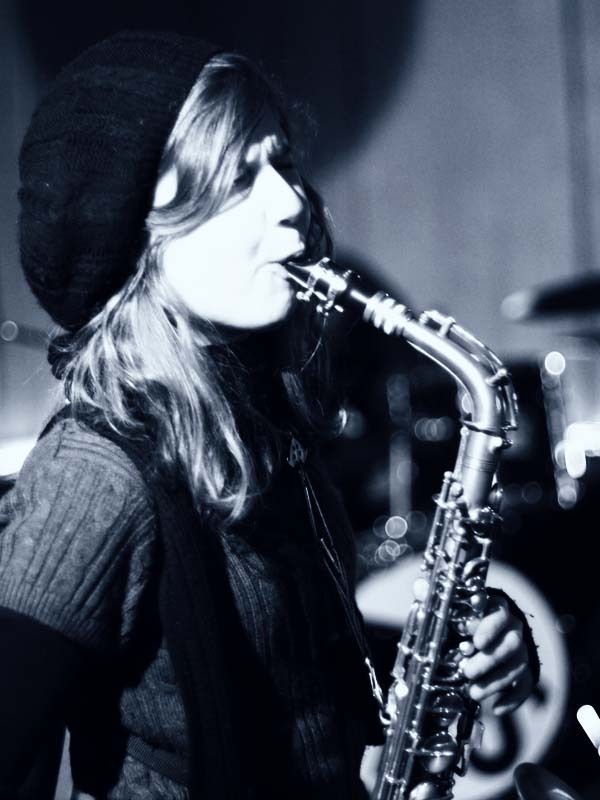 It came from a while ago, when she was a member of the national youth jazz orchestra. They were undertaking a project with one of Germany’s several radio big bands, which are stuffed full of case-hardened professionals, and she was due to be featured on one particular piece. She is, apparently, not the most organised of people, and on this day she got her transport arrangements mixed up and arrived late in a bit of a flurry. My informant mimed the looks of exasperation on the faces of the senior players as they watched this flustered novice unpack her horn. But as soon as the first notes came out, he said, they started taking surreptitious looks over their music stands to confirm that such a stream of eloquence really could be coming from this young woman. Yes, they discovered, it could. You don’t need to take my word for it: the performance in Bremen was filmed, and here it is. It’s worth a half-hour of anybody’s time, and her longest solo of the set, beginning at 25:50 and climbing out of a lovely ballad with surprising chord changes called “Mellow”, is a particular beauty. I suspect, and very much hope, that we’ll be hearing a lot more from the rather extraordinary Ms Schnabel. As long as Boz Scaggs goes on making records, I imagine I’ll keep buying them. Although his new one, A Fool to Care, has its pleasant moments, it isn’t up there with the very best of his work. And, unusually for Boz, it also contains a serious misstep, one that’s worth noting because of its nature. It’s a cover version, and when Scaggs chooses to cover a song, you can tell it’s because he loved the original. He never moves far from the way it first fell on his ears. And a man who can deliver a decent cover of something as extraordinary as Mable John’s “Your Real Good Thing (Is About to End)”, as he did on Come on Home in 1997, is not to be disrespected. With one song on the new album, however, he overreached himself before he even got started. The Spinners’ “Love Don’t Love Nobody” was one of the finest soul records of the 1970s, and still sounds to me like one of the greatest deep-soul ballads of all time. 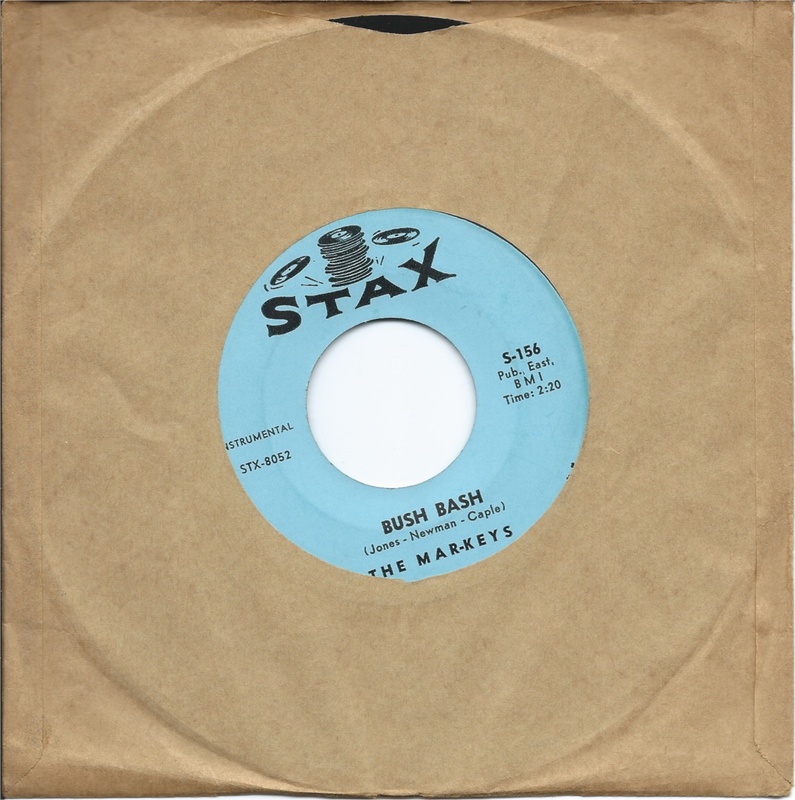 It was written by Charles Simmons and Joseph Jefferson, whose credits appeared on many Philadephia records of the era; the arrangement and production came from the extremely great Thom Bell, who moulded the hits of the Delfonics and the Stylistics as well those of the Spinners. It also has a lead vocal that shows what was lost to the art of soul singing when Philippé Wynne died in 1984 at the age of 43, after suffering a heart attack on stage in Oakland, Calfornia. Wynne could decorate a song with wonderfully inventive ornamentation which, by contrast with the work of the narcissists of today’s so-called R&B, never called undue attention to itself but was always in the service of the song, the arrangement, and the production. In that respect he was the peer of Ronald Isley and Teddy Pendergrass. And he was at his exalted best on “Love Don’t Love Nobody”: seven minutes and 13 seconds of soul heaven. As the track builds, Wynne adds his characteristic inventions to the song but firmly resists the temptation to overdo it. He’s listening to Bell’s arrangement, so spare, so subtly sophisticated as it adds strings and backing voices, and he’s making himself a part of it, even when he jams over the long fade. One other thing. I was doing some remixing at Sigma Sound in 1974 when I fell into conversation with an engineer, and asked him about Thom Bell. When I told him how much I admired “Love Don’t Love Nobody”, he said that he’d worked on that session a year or so earlier. He told me that the rhythm track had been done in a single take, and that Bell had finished it in tears. That knowledge doesn’t make me listen to it in a different way, but perhaps it does help to explain the very deep connection that it can make. Boz Scaggs does a decent job on a song of which he is obviously very fond. But I can’t help wondering if, had he known about Thom Bell’s tears, he’d still have decided to take it on. To Pimp a Butterfly: the shape of jazz to come? Kendrick Lamar’s To Pimp a Butterfly feels and sounds like one of the most important albums in years. I only wish I were able to explain properly why that might be so, but it would take somebody with a much deeper and more secure knowledge of the musical idiom and, more important, the social context from which it springs. 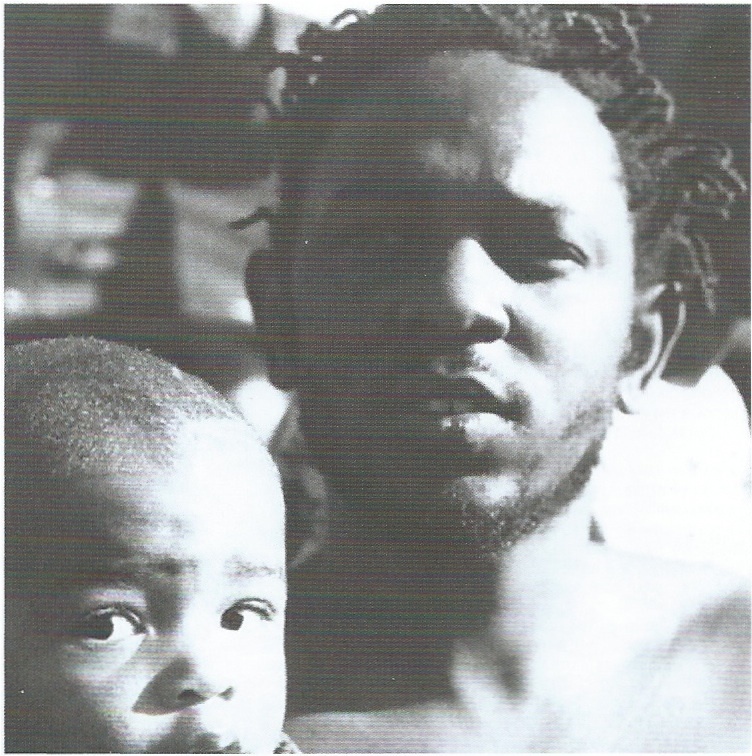 If you want to take your involvement further than appreciating the surface of the album, by getting to grips with the complicated issues that Kendrick Lamar is exploring, it’s worth listening to it once all the way through while reading the lyrics, which can be found here, along with a certain amount of textual analysis. Introspection is not uncommon among rappers, and there’s a refrain which crops up on several of the tracks: “I remember you was conflicted / Misusing your influence / Sometimes I did the same / Abusing my power, full of resentment / Resentment that turned into a deep depression / Found myself screaming in a hotel room.” But what’s going on here is not solipsism or self-pity. Lamar seems able to find a connection between his own soul-searching and a broader social context. * The photograph is from the insert accompanying To Pimp a Butterfly. The credited photographers are Denis Rouvre and Roberto Reyes. The Epic will be released at the beginning of May on the Brainfeeder label. In an early chapter of Words Without Music, his new autobiography, Philip Glass remembers how, soon after his arrival in New York in 1957, while waiting for a place at the Juilliard conservatory, he called the pianist and teacher Lennie Tristano from a phone booth on the Upper West Side to ask for lessons. Tristano himself answered the phone. He was kind, almost gentle. He wished me luck. 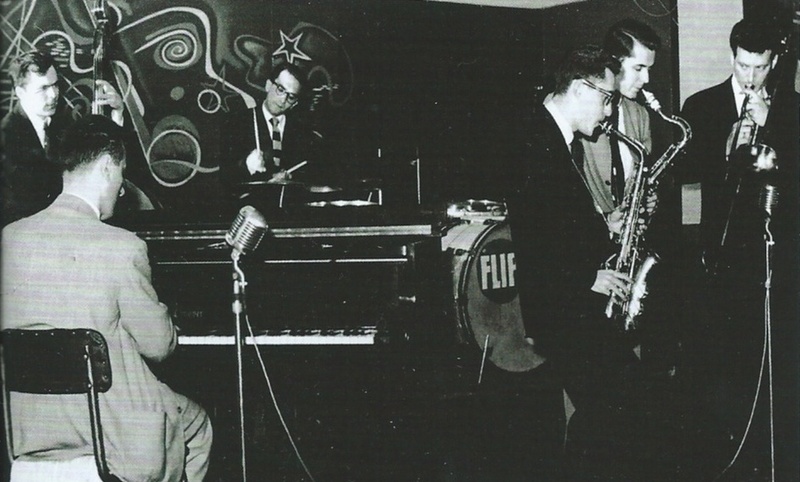 By coincidence, I was in the middle of reading Glass’s book when a package arrived containing a two-CD set featuring a newly discovered live recording of Tristano and his sextet — Willie Dennis (trombone), Lee Konitz (alto), Warne Marsh (tenor), Buddy Jones (bass) and Mickey Simonetta (drums) — from the Blue Note club in Chicago in the spring of 1951. Tristano’s discography is sufficiently thin to make this album, with its excellent sound and impeccable annotation, a major event. The mood is relaxed, the playing intense. Tristano was a Jesuitical figure whose insistence on technical and conceptual rigour from his students was legendary. Only the best survived. Konitz and Marsh were the best known of his acolytes, and they are close to top form here. Tristano’s own playing is as densely figured as usual, whether soloing or comping behind the horns. Dennis is the surprise: somehow he makes the trombone achieve the cliché-free agility required of Tristano’s improvisers. When I had returned to New York in 1967, I had discovered that the people around me at the time — painters and sculptors like Bob Rauschenberg , Sol LeWitt and Richard Serra — all listened to rock ‘n’ roll. They did not listen to modern music. It was not in their record collections. When I asked them, “Do you listen to modern music?” I found that they weren’t interested at all. None of them listened to modern music: Stockhausen, Boulez, or Milton Babbitt — forget it. You’d never find that music there. There was more of a connection, for example, between artists and writers. What Ginsberg was doing in poetry and what Burroughs was doing in literature were not that different from what was going on in the art world. “Why is there a disconnect here?” I asked myself. * The photograph is from the cover of Lennie Tristano: Chicago April 1951, released on the Uptown label. Philip Glass’s Words Without Music is published by Faber & Faber. Art galleries can be good places to listen to creative music, and the small Rosenfeld Porcini gallery in London — in Fitzrovia, actually, with entrances in Rathbone Street and Newman Street — provided a near-perfect environment for last night’s concert by the trio of the young Italian pianist Giovanni Guidi, who has yet to become well known but is one of the most interesting musicians on the current European jazz scene. Along with the American bassist Thomas Morgan and the Portuguese drummer João Lobo, Guidi was celebrating the release of This Is the Day, the trio’s second album for ECM. On its cover is a painting by the French artist Emmanuel Barcilon, who exhibits at Rosenfeld Porcini. Over the last couple of years Guidi has twice given solo recitals at the gallery, but this was the first time the trio has been heard in the UK. The album is a thing of great beauty (as was its predecessor, City of Broken Dreams, which made my best-of-2013 list), displaying three musicians bringing new thoughts to a familiar format. While Guidi applies his restrained yet ardent lyricism and super-refined touch to melodies that sometimes resemble children’s hymns and to improvisations that drift and reshape themselves like high clouds, Morgan and Lobo provide something more than commentary. These are three-way conversations conducted with a wonderful collective sense of space. The drummer occasionally intervenes to spike the mood of romanticism with the astringency of scraped cymbals or dry rattling sounds. The bassist provides a running counterpoint that can move gently into the foreground. But, as so often, live performance brought the music fully to life, allowing them to enhance the gorgeous cadences of Guidi compositions such as “Where They’d Lived” and “The Night It Rained Forever” and to dwell on the quiet sensuality of their version of the old favourite “Quizás, Quizás, Quizás”, written in the 1940s by the Cuban songwriter Osvaldo Farrés. This was the second time I’ve seen Thomas Morgan play live (the first was with Tomasz Stanko’s quartet two years ago) and it confirmed the first impression that he is a genuinely original musician. Over the last three or four years he’s become virtually ECM’s house bassist, turning in discreetly outstanding performances on albums by Masabumi Kikuchi, Enrico Rava, John Abercrombie, David Virelles, Craig Taborn and Jakob Bro, but Guidi’s group offers him the ideal environment for the full expression of his special gift. On the face of it, he is a member of a generation of jazz bassists who’ve moved away from the ideal of technical virtuosity embodied by Scott LaFaro and Ron Carter, two great players whose influence became, through no fault of their own, overbearing and destructive. Now we hear more from bassists like Larry Grenadier — a member of Brad Mehldau’s trio for the past 20 years — and Olie Brice, who take their cue instead from the likes of Wilbur Ware and Charlie Haden and seem to believe that playing as fast and high as possible is not necessarily a desirable ambition. Morgan belongs in that camp, but he has something very different. Born in California 1981, a graduate of the Manhattan School of Music, he has the air of a shy schoolboy who is still in the early stages of learning his instrument. If you watched him through soundproof glass, you would think that his playing was awkward, diffident, even indecisive. His fingers shape themselves for a note or a phrase, hover over the strings, and then appear to change their mind. Remove that glass and you discover that his note choices, while unpredictable and surprising, are almost always perfect. He has a lovely command of tone: the true sound of the instrument, beautifully shaded, full of humanity. If a note doesn’t need to be played, you can see him deciding to leave it out. His combination of resolute modesty and emotional directness will inevitably remind listeners of Haden, but it comes from a different and very intriguing place. This Is The Day offers the best possible showcase for his qualities, but it works so well only because this is a balanced trio in which the parts function together perfectly, the individual contributions shining all the brighter for the richness of the interplay. Much of the music is played in tempo rubato, free of strict time, swelling and receding with a collective instinct for pulse and flow; there was one busy passage, however, in which they seemed to be hurtling forward together in metred time, and you had to listen hard to discover that this was a brilliant illusion. Last night’s performance was the final date of a short European tour. The sustained warmth of the London audience’s response, which seemed to surprise and delight them (and led to a perfect encore with a dead-slow version of “Can’t Help Falling in Love With You”), can only have encouraged them to continue their remarkable work together. 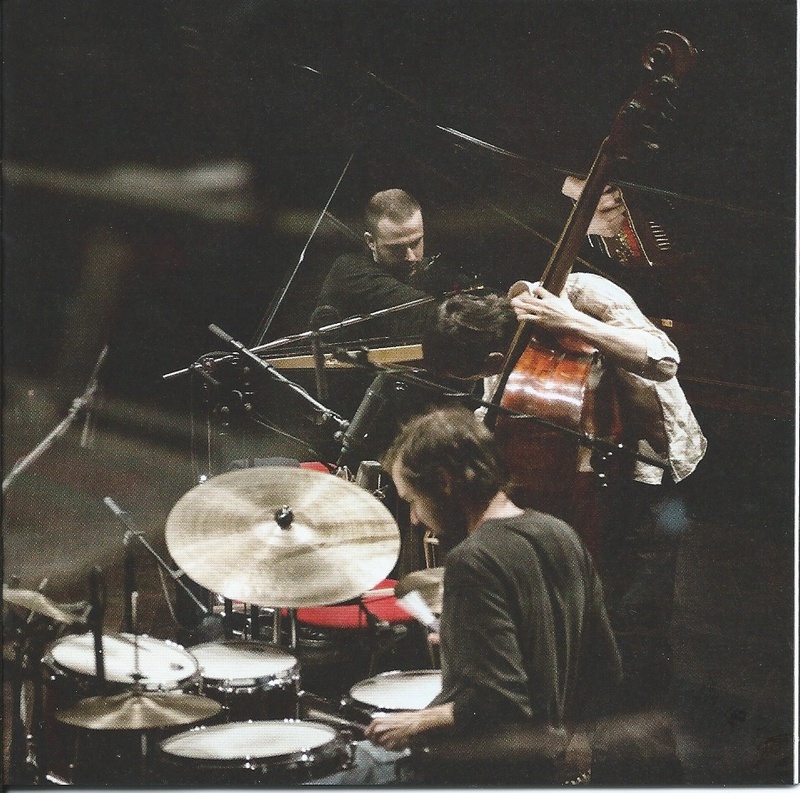 * The photograph of the Giovanni Guidi Trio is from the insert of This Is the Day, and was taken by Caterina di Perri.